Research in the Mechanosynthesis Group converges expertise in materials, manufacturing, and mechanical design. 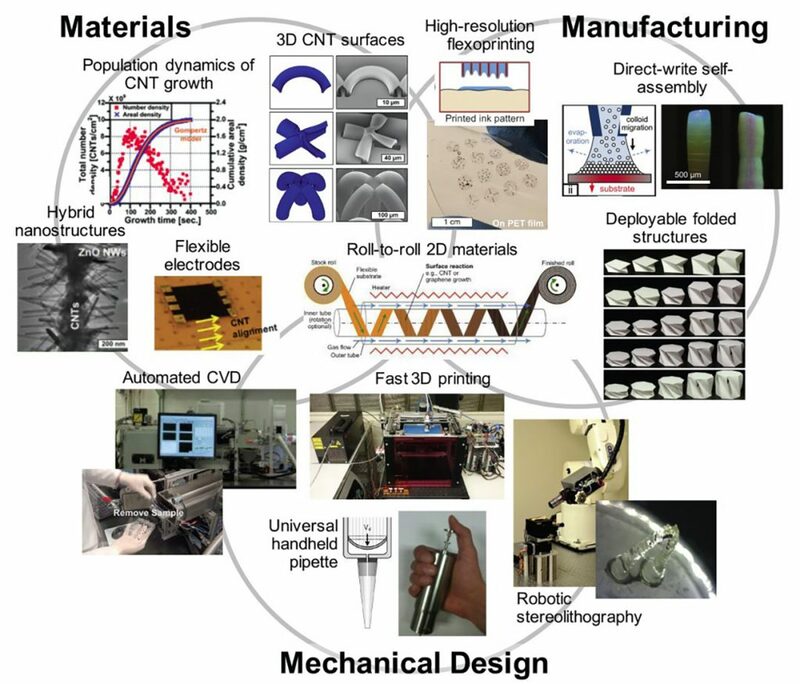 Current focus areas include include additive manufacturing (spanning from nano to macro scales), carbon nanotubes and 2D materials, roll-to-roll processing, printed electronics, and resource-efficient sensors and diagnostics. These technical areas connect both to fundamental principles and applications in a variety of domains including lightweight structures, robotics, energy storage devices, optical materials, precision instrumentation, and medical devices. Please see our publications for examples from across this exciting spectrum.